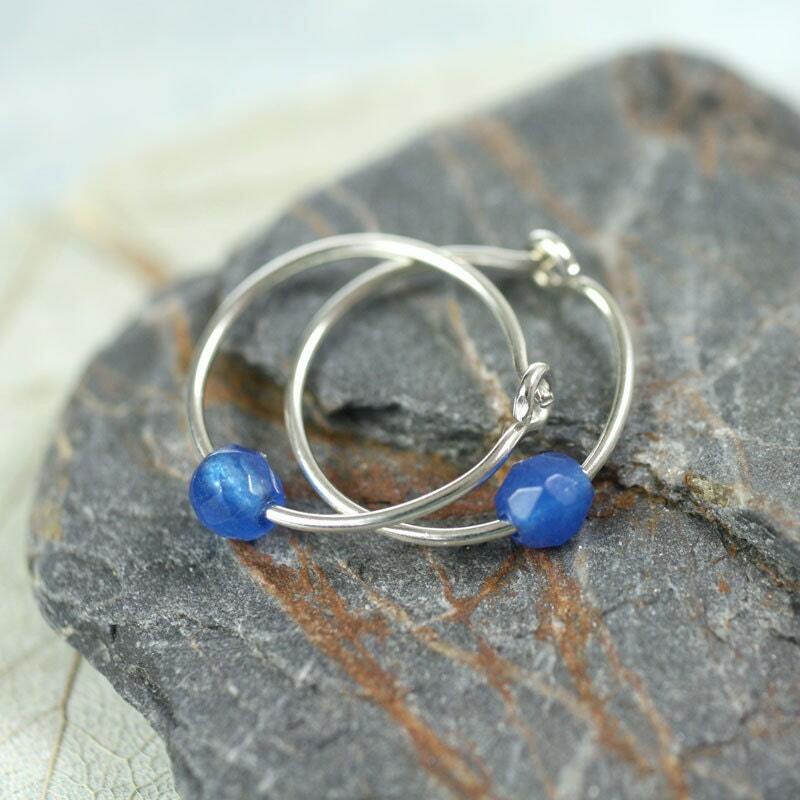 Sterling silver earring hoops with a simple closing mechanism. 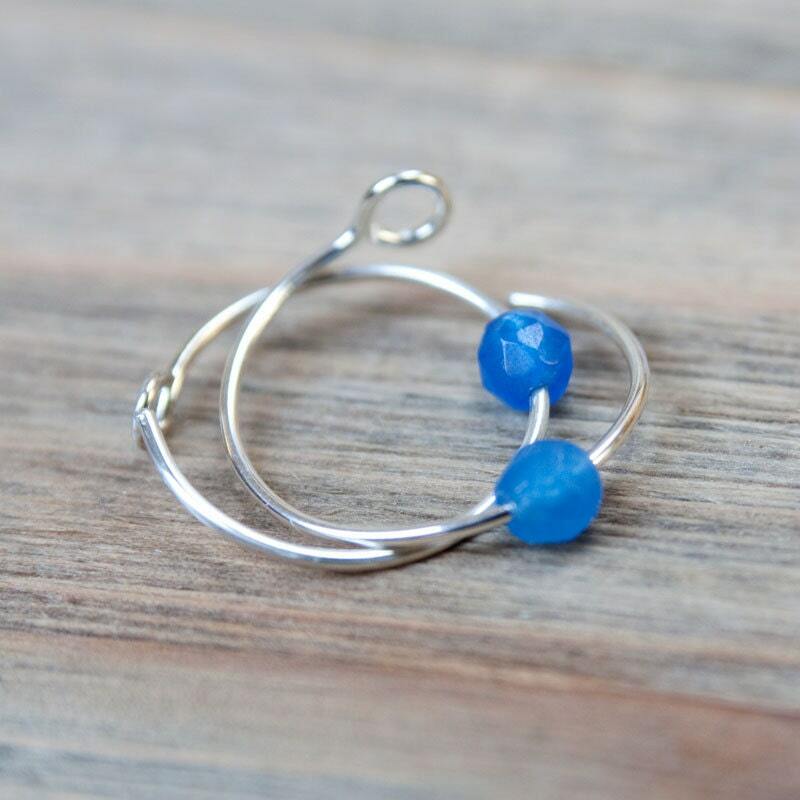 This pair is adorned with two 4 mm faceted blue jade round beads moving freely in the hoop. 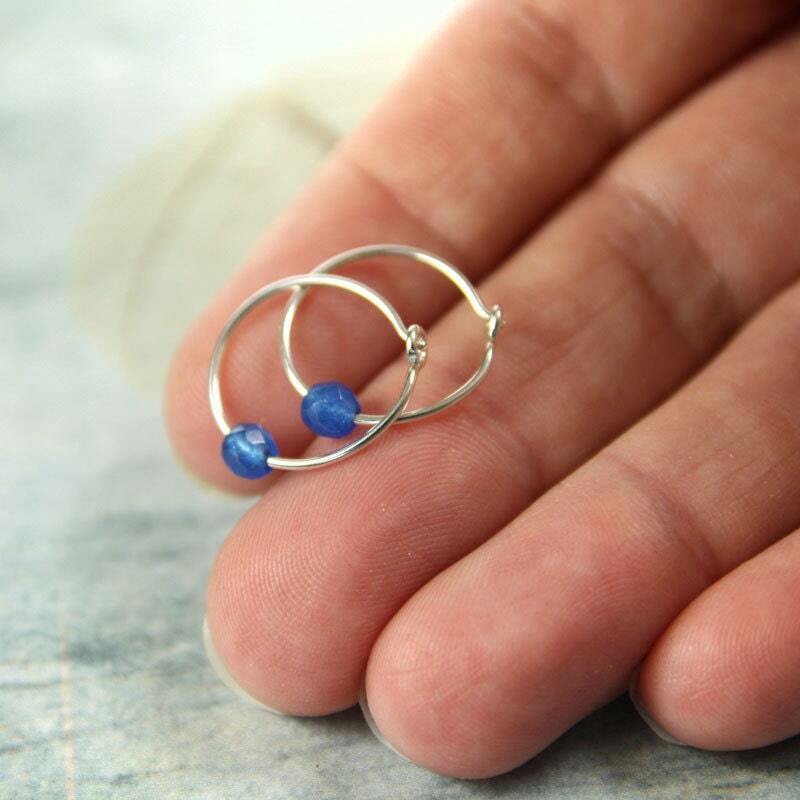 Also brilliant as sleeper earrings. Shower, swim and wear them 24-7. Very comfortable and light. 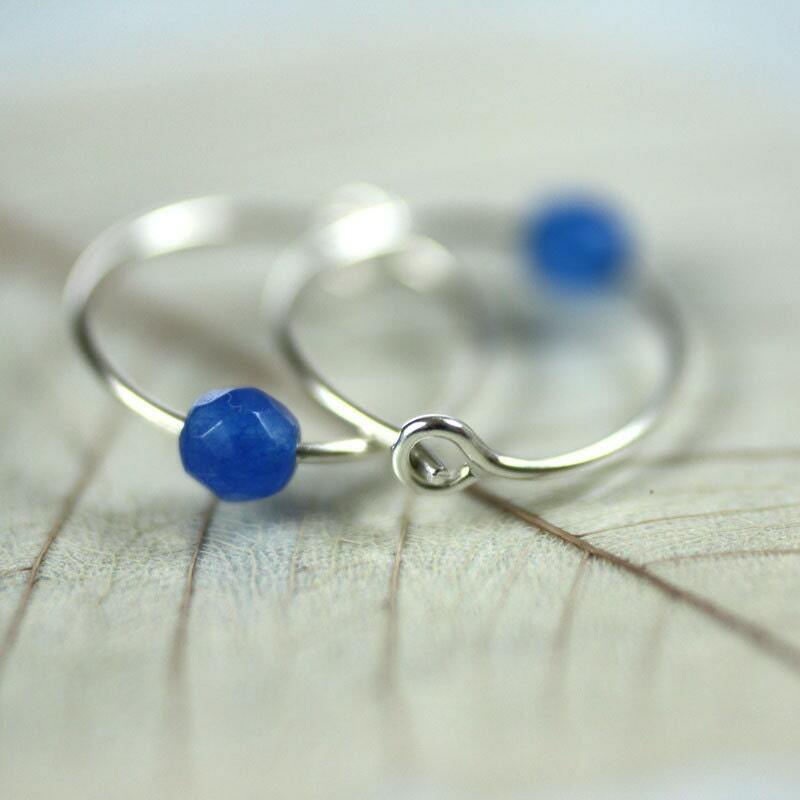 These hoops measure 16 mm in diameter. The listing is for one pair. Will arrive ready gift-wrapped in a little box. 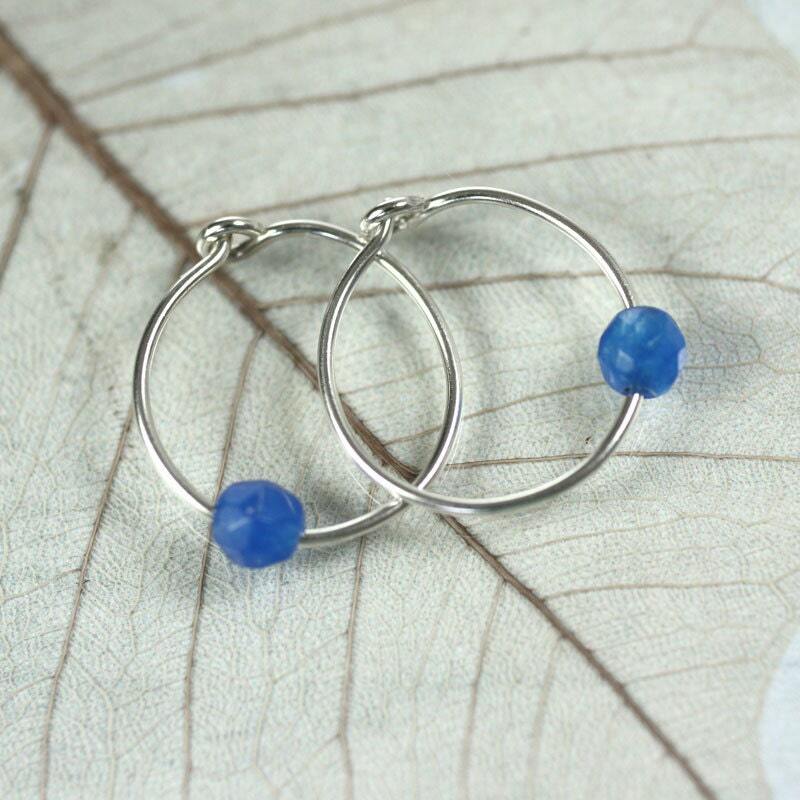 Great earrings, speedy delivery. Thanks!